Agency, 5 February : The head of a UN trade panel has warned a US plan to raise tariffs on Chinese goods next month would have “massive” implications for the global economy. The US plans to increase tariffs on Chinese goods if the two sides fail to make progress on a trade deal by 1 March. The report also said US and Chinese firms won’t benefit greatly from the protectionist policies. It added that Asian countries are likely to suffer the greatest impact. In December, both countries agreed to hold off on new tariffs for 90 days to allow for talks. 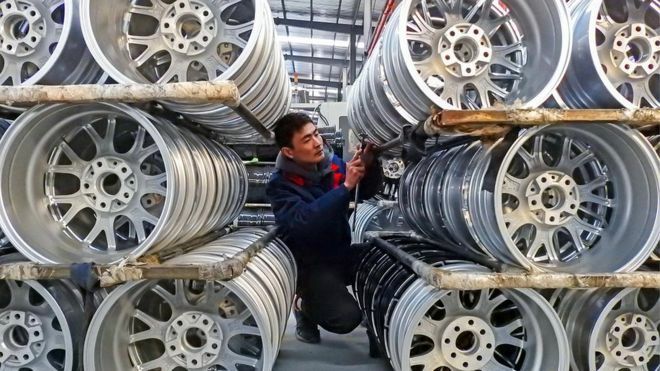 The US and China have a deadline of 1 March to strike a deal, or the US has said it will increase tariff rates on $200bn (£152bn) worth of Chinese goods from 10% to 25%. The UN Conference on Trade and Development (Unctad) has warned that there will be huge costs if the trade war escalates. “The implications are going to be massive,” Pamela Coke-Hamilton, Unctad’s head of international trade, said at a news conference. “The implications for the entire international trading system will be significantly negative.” Smaller and poorer countries would struggle to cope with the external shocks, she said. Unctad’s report estimates that east Asian producers will be hit the hardest, with a projected $160bn contraction in the region’s exports. But it warns the effects could be felt everywhere.